A powerful message for today's divided world, this timely and penetrating novel sweeps across a multitude of life's experiences, establishing new insights and harmony. A secure childhood, shattered by war, anger, and doubt, initiates an enduring quest to understand life's mysteries and miracles. Travel in a foreign country brings peril, new awareness, and romance, but this romance is scarred by age-old prejudices as it blossoms into a biracial marriage. At the intersections of cultural conflicts, new thinking appears, pushing back outdated provincial habits. The struggle to bring together opposing family members, triggers the concept of building a major bridge across the waterway dividing the couple's two peoples. 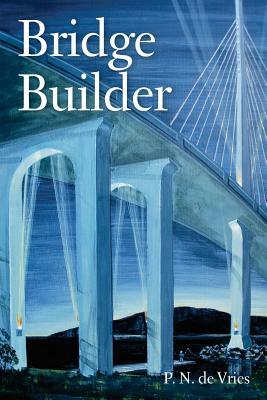 Opposition to the bridge brings intrigue, sabotage, and deadly danger for the Bridge Builder. At the core of this tale, is a spiritual evolution, an internal pilgrimage, fraught with doubt and fear, that is ultimately victorious through the power of expansive faith and universal love.